Yoga Suite studios are qualified by CSEN/CONI to teach yoga and teacher training. The director, Giancarlo Miggiano, is a CSEN Yoga Alliance Master Yoga Platinum Designation, RPYT (Register Prenatal Yoga Teacher) and RCYT (Registered Children Yoga Teacher). The Suite was born to share the beauty of yoga, the opportunity to reverse one’s point of view and therefore experiment the harmony, deep wellness and joy of life hidden within each individual. It is the only professional training school that uses the Yoga & Medicine® method, between science and conscience, where yoga is taught supported by a medical-scientific background. All courses are certified by CSEN/CONI and Yoga Alliance RYS ( Registered Yoga School) and R-PYS ( Registered Prenatal Yoga School). The centre is open Monday through Saturday and classes vary from gentle yoga to power yoga, from Hatha to Pranayama and meditation. Yoga Suite also teaches pre-natal and and Post-Partum Yoga classes for mothers and children. All teachers are highly qualified and professional, and will embrace each individual with warmth and motivation. 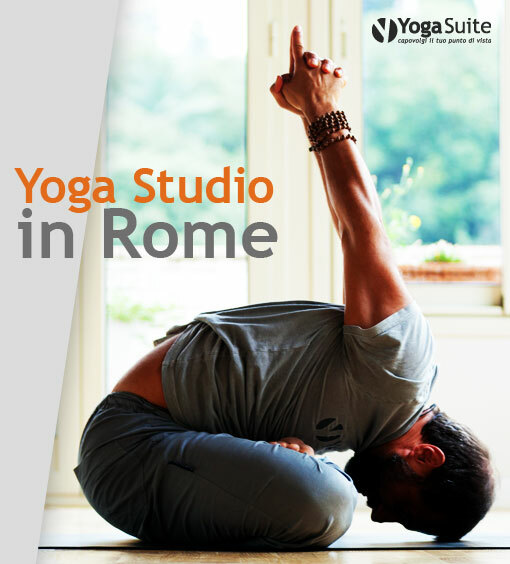 Yoga Suite is based in the North of Rome in Via Flaminia 203, in the Flaminio neighbourhood, 10 minute walk away from the historical city centre, and in via Appia Nuova 608 in the South of Rome, just upon the Colli Albani tube stop and steps away from the Tuscolana and San Giovanni station. Moreover Yoga Suite manages and organizes yoga classes for corporations such as Generali Insurances and Paideia Private Healthcare Clinic.